Why should an investor choose an ETF versus a mutual fund? What are disadvantages of investing in ETFs? Even though an ETF is supposed to track an index, it may not be able to guarantee the returns of the index. While variations tend to be small, the difference between a fund’s return and the index’s return, often called tracking error, can sometimes be significant. When evaluating ETFs, you should keep an eye on tracking errors. As discussed earlier, the market of equity ETFs is not well developed in India. Most of the ETFs in India are focused on frontline indices or large cap stocks. There are not too many options in midcap stocks, sector specific stocks or debt investments space. However, of the few midcap and sector specific ETFs, that are available, the Motilal Oswal, MOSt Shares Midcap 100 ETF and the Goldman Sachs, GS Infra BeES fund have given excellent returns over the past one year or so. The table below shows the top performing equity oriented ETFs, along with the last 1 month, 3 months, 6 months, 1 year, 2 years and 3 years trailing returns. Please note that the 2 years and 3 years trailing returns are annualized. NAVs are as on close of trading session on, June 30 2014. In this article, we have discussed the relative merits and demerits of exchange traded funds. ETFs cannot replace mutual funds in your investment portfolio. 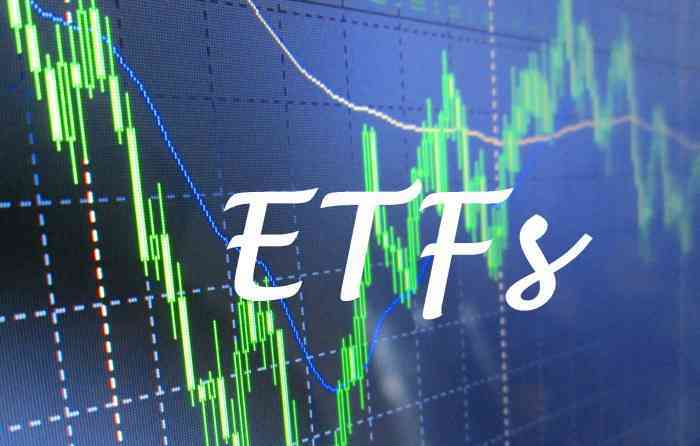 Yet, there are a number of reasons, as discussed in this article, why you may want to consider ETFs to complement your mutual funds portfolio, for the diversification of your overall investment portfolio. If your financial adviser deals in ETFs, you should consult with him or her, if ETFs are suitable for your investment portfolio. Even if your financial adviser does not deal in ETFs, you should consider allocating a portion of your long term investment portfolio to ETFs.